Please note, the 6D uses SD Cards only!!! This is also a full-frame camera and will NOT work with EF-S lenses. An excellent prosumer-level full frame camera that excels in low-light situations, especially weddings, for both stills and capturing HD video! It lacks the new focusing system found in the 5D Mark III, but this camera is still very impressive especially if you are on a budget. 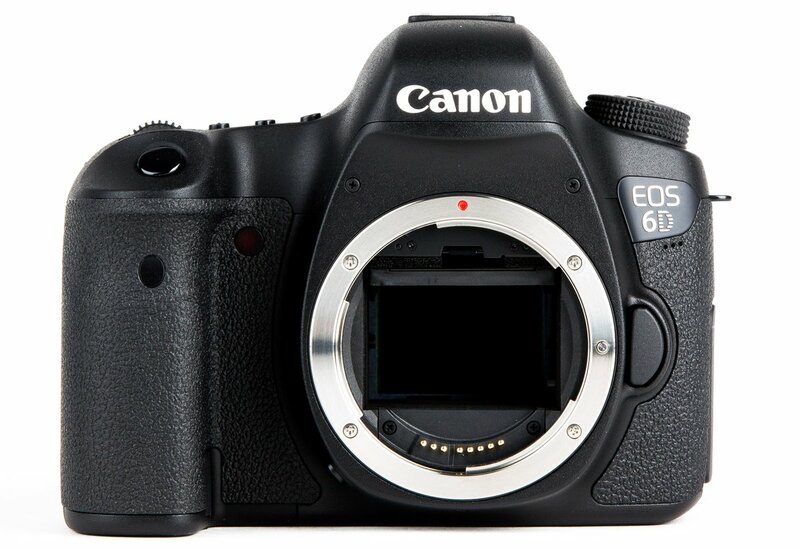 The EOS 6D DSLR camera is the ideal tool for unlocking your creative vision. It features a 20.2 Megapixel Full-Frame CMOS sensor, a wide ISO range of 100-25600, expandable to L: 50, H1: 51200, and H2: 102400, for incredible image quality even in low light, and a DIGIC 5+ Image Processor delivers enhanced noise reduction and exceptional processing speed. A new 11-point AF including a high-precision center cross-type AF point with EV -3 sensitivity allows focusing in extreme low-light conditions, and with continuous shooting up to 4.5 fps, you are ready to capture fast action. Full HD video with manual exposure control, multiple frame rates, and the benefits of a Full-Frame sensor provides stunning performance and creative flexibility. 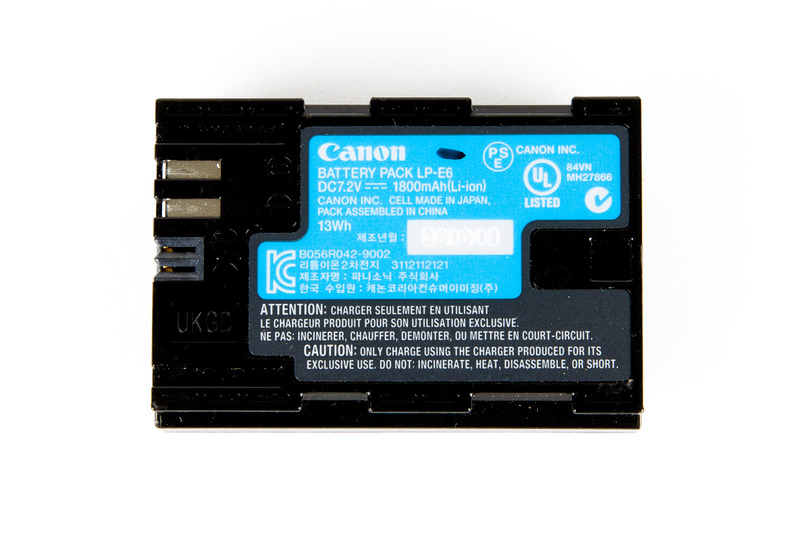 The built-in Wi-Fi® transmitter allows you to wirelessly transfer your images to social networking sites through CANON iMAGE GATEWAY#, or upload virtually anywhere from your iOS or Android smartphone* with the free download of the EOS Remote app**. You can use your smartphone for remote camera control and operation (with the EOS Remote app), or even print your images on a Wi-Fi® compatible printer^. Perfect for travel and nature photography, the built-in GPS## allows location data to be recorded while shooting. Compact, lightweight, brilliant low-light performance, and loaded with easy to use features, the EOS 6D is truly the Full-Frame DSLR camera for everyone. You will receive the camera body, strap, one battery and a battery charger. Self-cleaning executed automatically (taking 2 sec.) when power is turned on or off. Manual execution also possible (taking 8.0 sec.). * Correction based on the current WB mode's color temperature. Eg-A II provided. Interchangeable with Eg-D and Eg-S. Incompatible with Eg-A. Displayed if any of the following is set: Monochrome, white balance correction, expanded ISO speed, or spot metering. Center: cross-type at f/5.6; vertical line-sensitive at f/2.8. Upper and lower AF points: vertical line-sensitive AF at f/5.6. Other AF points: Horizontal line-sensitive AF at f/5.6. *Switches between One-Shot AF and AI Servo AF automatically. 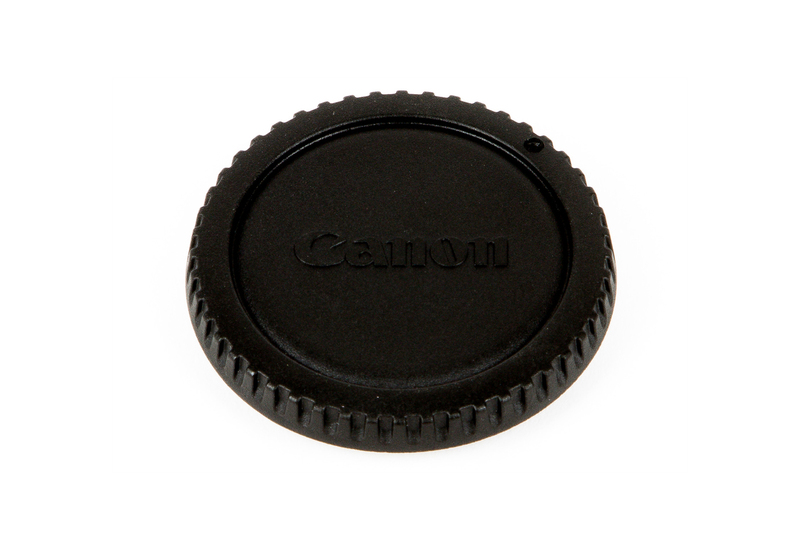 Displayed or indicated by superimposed display in the viewfinder and on the LCD monitor. * With an EOS-dedicated Speedlite attached, AF-assist beam is emitted automatically when necessary. * No AF-assist beam with flash bursts. *1: It depends on [Minimum] and [Maximum] of auto ISO setting. *2: If overexposure would occur with fill flash, the minimum ISO speed is ISO 100. *3: Scene Intelligent Auto, Night Portrait and Handheld Night Scene modes are excluded. *4: For bounced external flash when Creative Auto, Close-up, Landscape, Macro, Sports / P is set, automatically set between ISO 400–1600. * Manual exposure compensation and AEB can be combined. * The AEB shooting sequence will be standard exposure, underexposure and overexposure. With the self-timer, three continuous shots will be taken regardless of the current drive mode. * The number of bracketed shots: 2, 3, 5, or 7 settable with a Custom Function. * During movie shooting, press the <*> button for AE lock and press the button to cancel AE lock (not automatically cancelled). * AE lock (cancelled automatically when metering timer is turned off) possible before movie shooting. Movie shooting can start while AE lock is set. (1) During SW-1 ON, time lag between SW-2 ON and start of exposure: approx. 0.060 sec. (2) Time lag between simultaneous SW-1/SW-2 ON and start of exposure: Approx. 0.144 sec. * Time lag with the aperture stopped down by 3.5 stops or less (Excludes AF operation time). 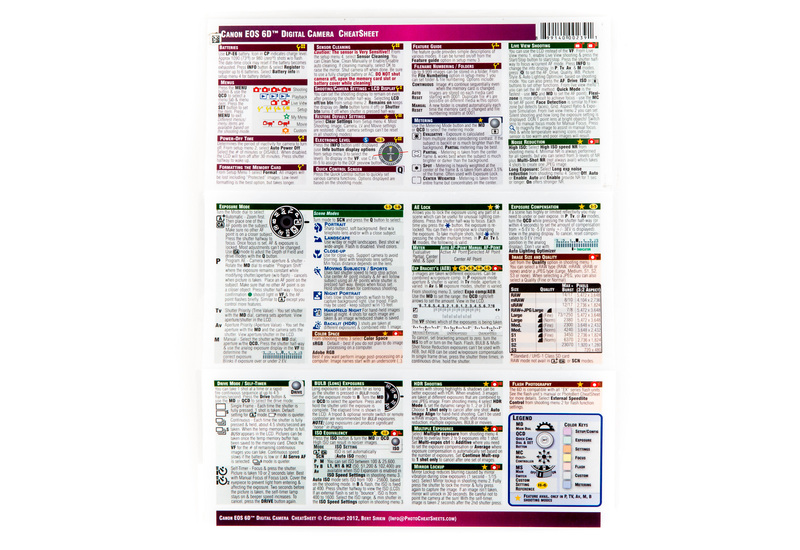 * Figures are based on Canon's testing standards (ISO 100 and Standard Picture Style). * One-point, contrast AF. Switching to another AF point is possible. * Face detection, contrast AF. Face is selectable. * Phase-difference AF with 11 AF points. - Magnify the image by 5x or 10x and focus manually. * The maximum recording time is limited to 29 min. 59 sec. 1. Magnified view is not possible during video shooting. 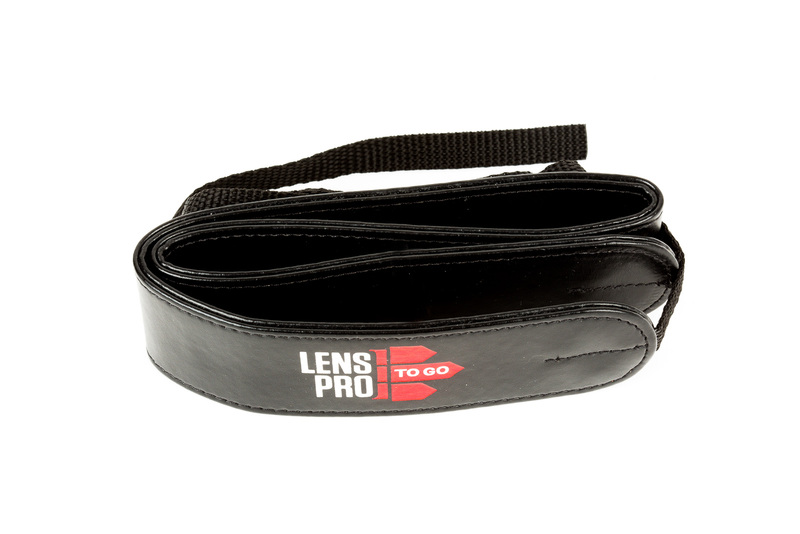 * For shooting modes other than manual exposure and bulb. * Shutter speed (signal accumulation time), aperture, and ISO speed (auto/manual) manually set. The shutter speed (signal accumulation time) is limited to 1/4000 sec. at the maximum and to 1/30 sec. at the minimum for 24/25/30 fps or 1/60 sec. or higher for 50/60 fps depending on the frame rate. * For movies, even if exposure compensation has been set beyond ±3 stops, exposure compensation up to only ±3 stops will be applied. * Two-image comparative display is not provided. With single-image display (Info.) and single-image display, overexposed highlight areas will blink. Brightness and RGB can be displayed. Shutter speed, aperture, ISO speed, exposure compensation, AEB, flash exposure compensation, Wi-Fi®, Picture Style, white balance, white balance correction, Auto Lighting Optimizer, Custom Controls, AF operation, AF point selection, Drive mode, metering mode, and image recording quality. Image protect, image rotate, rating, RAW image processing, resize, highlight alert, AF point, and image jump with mode dial. Erase protection can be applied/canceled for a single image, all images in a folder, or all images in the card. Erase single image, erase selected images, erase all images on folder, erase all images in a card, or erase only unprotected images. - With the AC Adapter Kit ACK-E6, AC power is possible. ∗With a fully charged battery pack LP-E6. Based on CIPA testing standards. ∗With a fully charged battery. Based on CIPA testing standards. 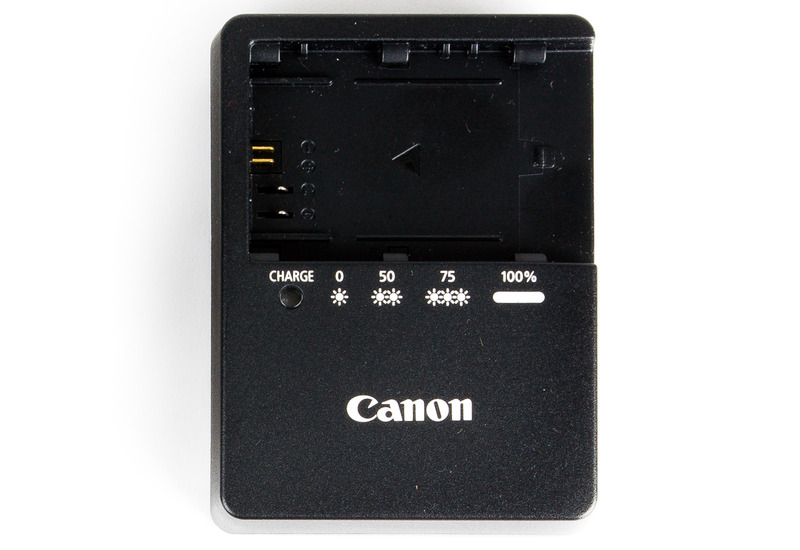 *1 Battery level displayed on LCD panel and in viewfinder. *2 Battery information can be checked with the [Battery info.] menu. *3 If Battery Grip BG-E13 is used with size-AA/LR6 batteries, the battery level is displayed in four levels instead. When battery is fully charged, the date/time can be maintained for 3 months. Requires about 8 hours to fully recharge the backup battery.